Do you want to develop the next innovative technology-intensive products? Find out more about the EPD curriculum and the areas of specialisation. 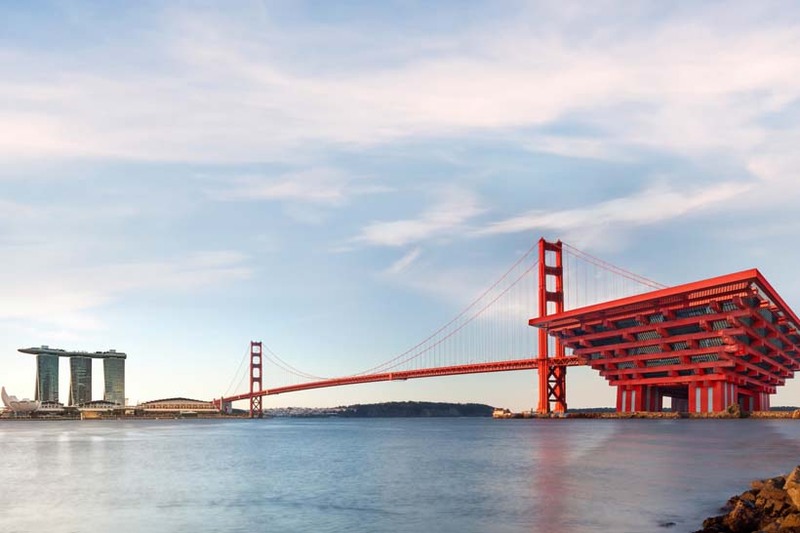 Our architecture programme is one of two programmes in Singapore. Discover how our curriculum is different and what’s life like for an architecture student. Find out more about our application process and the scholarships and financial assistance available. ESD prepares you for the design, analysis, optimisation and management of large-scale complex systems. Find out more from our Pillar Head, students and alumnus. 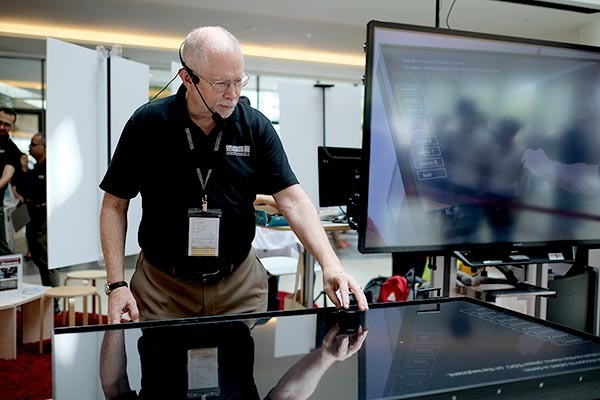 Thinking about embarking on postgraduate education in technology and design? Learn more about our Masters and PhD programmes. 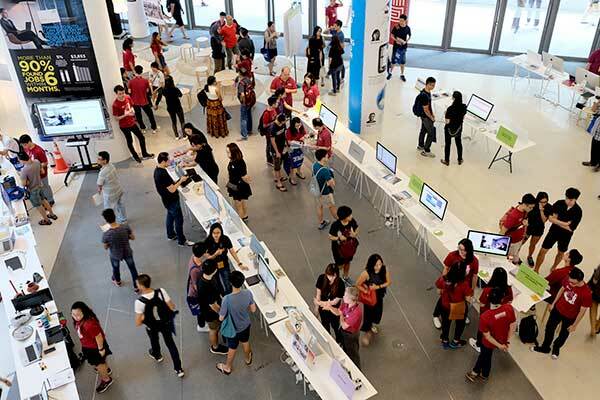 Find out more about the curriculum at ISTD and how it is relevant to Singapore’s drive towards becoming a Smart Nation. Hear from the Head of Pillar and ISTD students and alumnus. What makes SUTD special? Come experience the “Makers” culture for yourself at the experiential XPark! 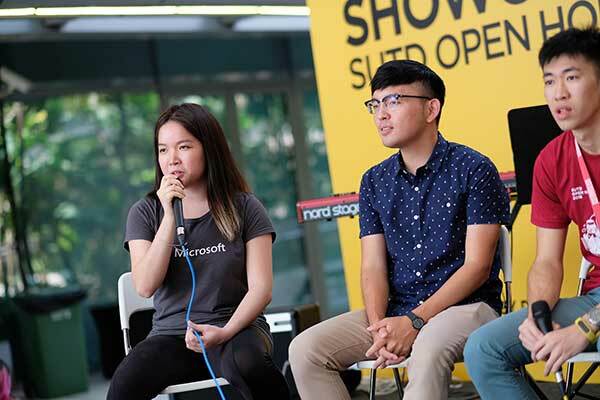 From AR & VR to AI-powered experiential games from over 20 booths, come be inspired by a myriad of interactive fun and exhibits, all created by SUTD’s very own students! Urban Playgrounds: Do these remind you of playgrounds you hang out at as a child? Come and reminisce those days where you make new friends… but hopefully not new bruises! Vivify: Need to refresh and rejuvenate? Play Vivify, a music based, augmented reality game, to lighten your mood and regain your focus! These installations won’t be very difficult to spot, and you won’t forget them any time soon either! Let your eyes take in the beautiful night installations scattered around the campus! Butterfly Effect: An interactive light installation that was showcased at iLight Marina Bay 2018. Developed by our final year students, this installation is a conversation about the impact of collective apathy on the environment. Check out @butterflyeffectsg on Instagram. Grab some food and have some drinks to keep you energised throughout the night. You shouldn’t be having this much fun on an empty stomach! Night Fiesta will not be complete without performances from our talented students. Head down to the Opera Stage donated by Jackie Chan to watch our Fifth Rows in action! You’re sure to be impressed and entertained through the night. It’s a mysterious night… Put your problem-solving skills to a test as you try to get out of our tech-infused escape rooms! Will you be able to conquer what awaits you? 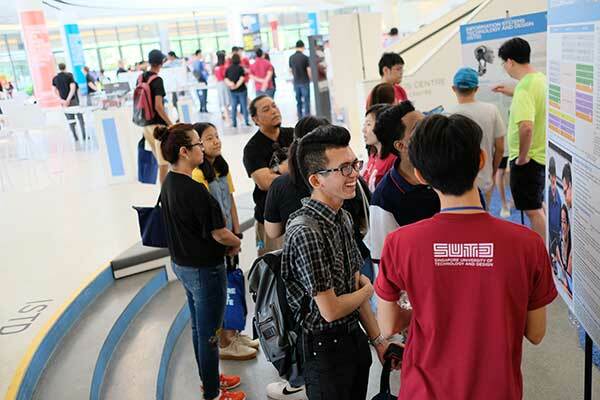 The best way to find out more about SUTD is through our people. Drop by the antique double-tier pavilion donated by Jackie Chan for a relaxed and cosy session with our students and staff and ask about anything under the sun (or shall we say moon)! Choose from two design workshops conducted by our team of experts from ISTD. Snakes: Bit by Bit (1.00pm - 2.00pm) Try your hand at programming a microcontroller to recreate the classic "Snake" game. 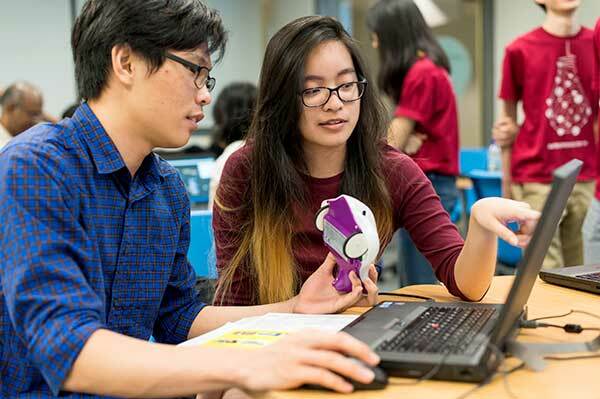 Using Block programming language, you will be able to learn fundamental programming concepts and see it come to life real-time on the Microbit controller. Fun with Byte Size Programming (5.00pm - 6.00pm) Have a taste of SUTD’s unique hands-on pedagogy and experiential learning - immerse yourself in the various aspects of Information Systems by learning how to programme a micro controller and collaborate with other participants to decipher the secret code. 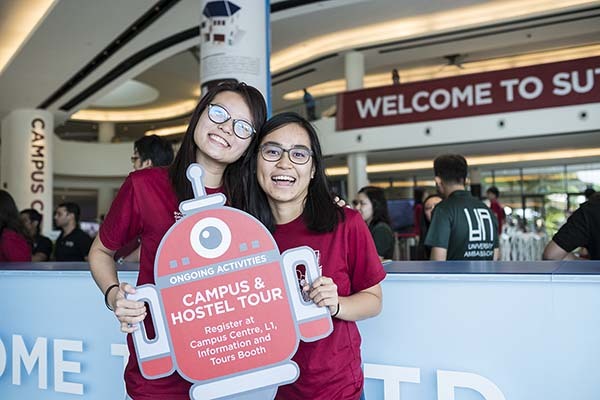 Choose from two campus tours conducted by our University Ambassadors. 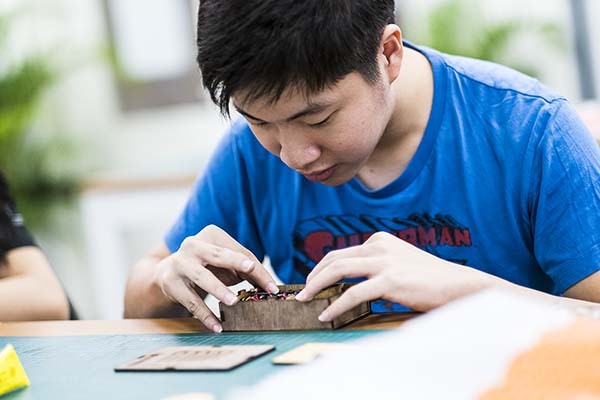 Explore our Fabrication Lab and cohort-based, collaborative learning environment or head to the Hostel and Sports Complex and check out your future ‘home’. The Fabrication Lab (Fab Lab) is where students design and build virtually “almost anything” with high-performance machines. Check out these facilities in action and participate in the DIY activities. Bridge to University: In this fast-paced/hands-on design workshop, prospective undergraduate ASD students will learn about how materials and structures are deeply embedded in architectural design, understand the concepts of architectural representations and scaled models, and create and test a design prototype for a bridge. Hear from the students themselves about our curriculum, student life and their experiences during exchange programs, internships, etc. Sumo Wrestler Challenge: Grab your friends and come join us in our EPD Design Workshop. Our team of experts will be there to guide you step-by-step through building your very own sumo robot from scratch. Have a question? 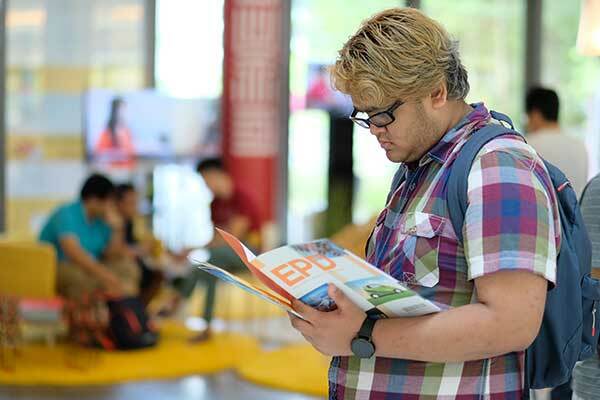 Speak to our faculty members, students and staff at the booths and discover more about SUTD and our programmes. 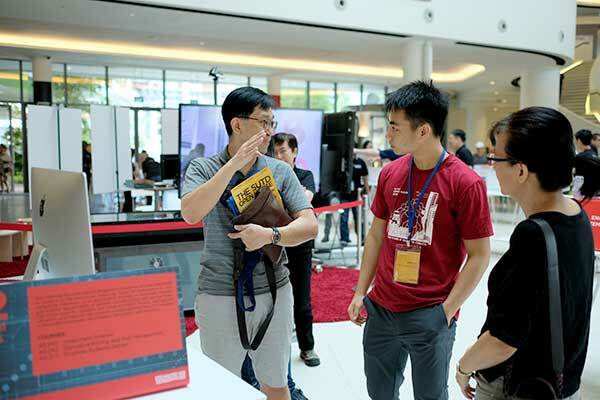 Also check out a variety of demonstrations and project showcases to understand how SUTD can fuel your passion for technology and design and unleash your full potential. Life in SUTD doesn't end in the classroom, that's why we put aside two afternoons each week for Fifth Row, or co-curricular activities. Check out the 90+ Fifth Row Clubs available at SUTD on Instagram, #SUTDFifthRow. Want a degree in engineering and another in management? Want to obtain both a bachelor and Masters degrees? Want to be both an engineer and a medical doctor? Enroll in one of our special programmes and fulfil your dreams. 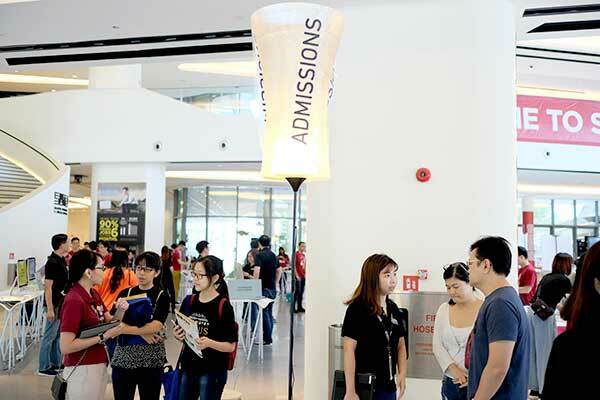 Every SUTD undergraduate takes 7 HASS courses. 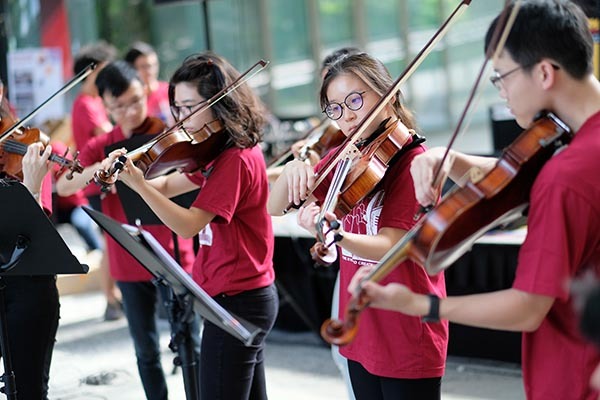 Find out HASS’ role in SUTD’s multidisciplinary Engineering and Architecture curriculum. 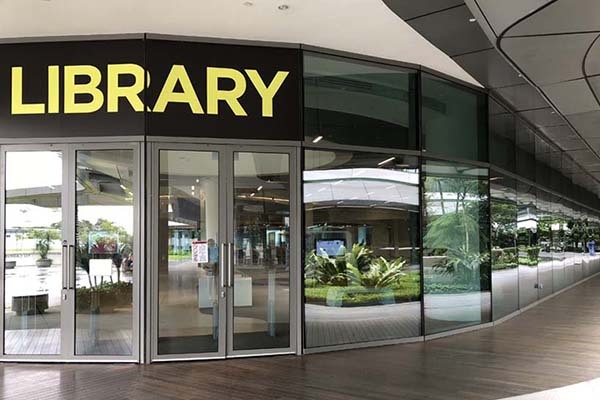 Get driving directions to SUTD. © 2019 Singapore University of Technology and Design. All Rights Reserved.